A drawing I feel is amongst my finest. 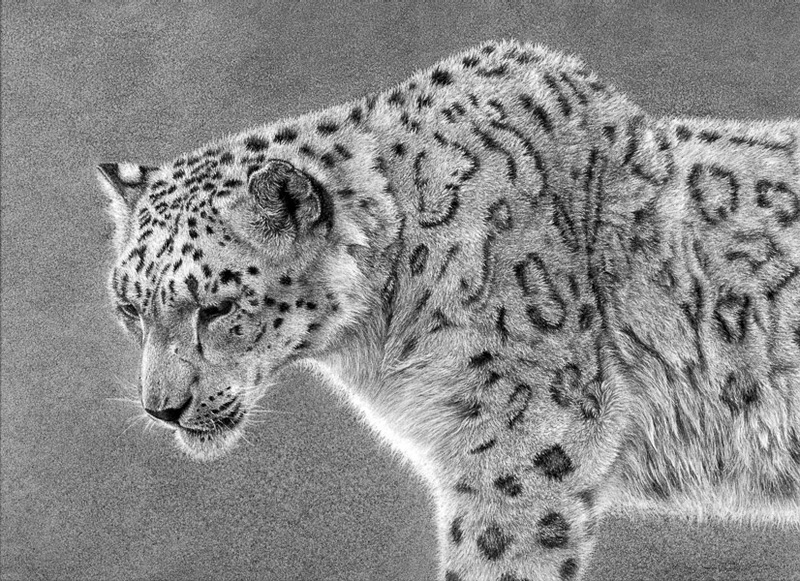 Snow leopards are simply stunning cats and suit my way of working perhaps more than any other animal. This drawing has two main aspects - the fur and the intentional lack of eye contact. In fact there is very little detail in the eye at all. I wanted the fur and the question of what the leopard is looking at to be foremost.